Lock in a great price for Courtyard by Marriott Bangkok – rated 8.7 by recent guests! Breakfast was excellent, plenty of staff and plenty of choices, I liked the location. We did not choose the option of accomodation + breakfast during the booking. At the reception, the staff has suggested adding breakfast (buffet or executive continental), afternoon and evening collations for the price of breakfast. The place is quiet, but still within 10 minutes walking of the Central World and Siam Paragon mall. We got a free room upgrade and it was so big with large bathroom. 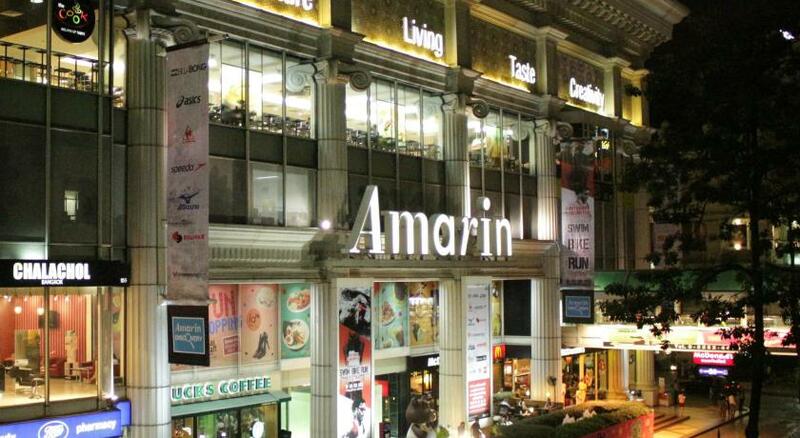 The hotel location is very near to shopping malls about 10-15mins walking. It has free shuttle tuktuk to the nearest station. Staffs were all very kind and smiling. Room got big TV, JBL bluetooth alarm speaker and mini bar. The room was really nice.we were upgraded to an executive room.The breakfast buffet had everything you could think of.It was also delicious. The location was ok. The district suffers from constant traffic jams. Breakfast at the MoMo Cafe was good with excellent variety. Meals at the executive lounge were not. Room size was reasonable but not generous. Great breakfast spread and very efficient and service oriented staffs, at reception, breakfast and lounge. The conceirge staffs were excellent. They recommended and arranged for a wonderful floating market trip and ensure we knew the prices of the services. And as it turned out we were charged more at the boat service and they called to investigate. They had them to refund us! Amazing Aun and Bank at the concierge. Other staff also helped in tips for dinner and shopping places. Simply wonderful! Friendly welcoming greeting at the entrance. Great housekeeping service. Everything is good about it, food, location, facilities and staff. Amazing breakfast, excelent location, very nice staff. Courtyard by Marriott Bangkok This rating is a reflection of how the property compares to the industry standard when it comes to price, facilities and services available. It's based on a self-evaluation by the property. Use this rating to help choose your stay! One of our top picks in Bangkok.Offering a free shuttle to Ratchadamri and Chit Lom BTS Skytrain Station, Courtyard by Marriott Bangkok offers an outdoor pool and free WiFi. Pampering massage and a 24-hour front desk are available. Courtyard by Marriott Bangkok is about 2,150 feet from shopping at Central World Plaza and less than 0.6 mi from Siam Paragon Mall. 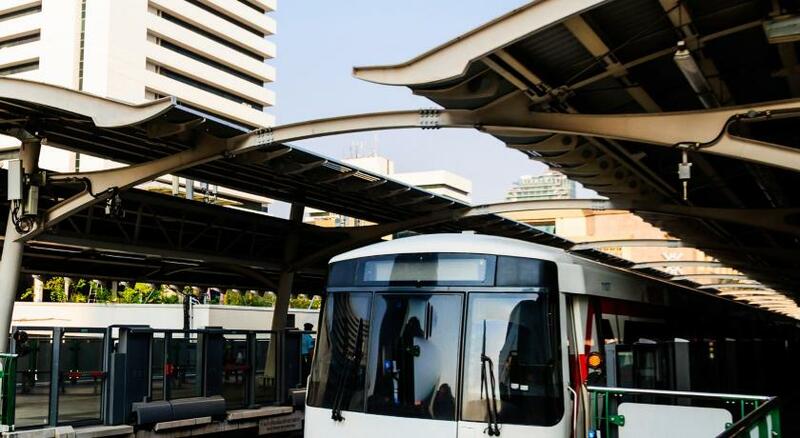 Ratchadamri BTS Skytrain Station is a 5-minute walk away. It is about 13 mi from Suvarnabhumi International Airport. Modern air-conditioned rooms feature elegant decor and warm colors to create an inviting space. Each room is equipped with a 32-inch flat-screen TV, mini-bar and personal safe. Guests can make use of a range of facilities and services that are provided round the clock. These include a fitness center, a business center and airport shuttle service with an additional cost. MoMo Cafe offers casual dining and buffet spreads with international dishes. Afternoon tea and light refreshments are available at MoMo Bar. 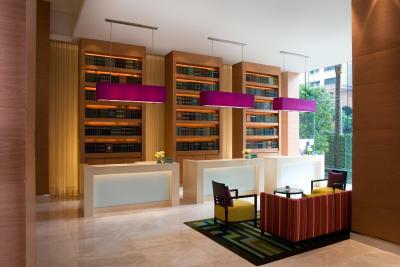 When would you like to stay at Courtyard by Marriott Bangkok? This double room has a tumble dryer, soundproofing and sofa. This double room features a tumble dryer, mini-bar and tea/coffee maker. This double room has a tumble dryer, bathrobe and mini-bar. Courtyard Bangkok is ideally located in the heart of Bangkok and within walking distance from Ratchadamri and Chidlom BTS SkyTrain stations. 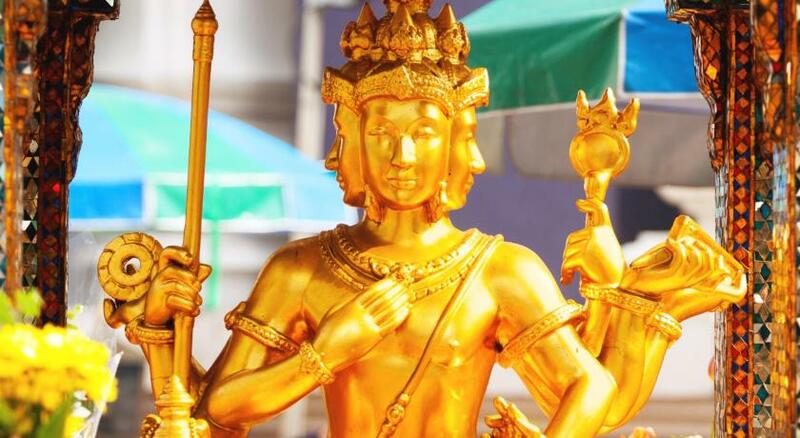 We are located just steps away from the world-class shopping centers, dining venues and Erawan Shrine. House Rules Courtyard by Marriott Bangkok takes special requests – add in the next step! Courtyard by Marriott Bangkok accepts these cards and reserves the right to temporarily hold an amount prior to arrival. Please inform Courtyard by Marriott Bangkok of your expected arrival time in advance. You can use the Special Requests box when booking, or contact the property directly using the contact details in your confirmation. Spacious and clean room with friendly staffs. Not my first time staying there. The bed was a little firm, however this is just a personal preference issue. Hotel provided complimentary shuttle to the BTS. The draw back of the hotel was the breakfast options remained the same thought our stay. Could of changed it up a little. The hotel was located near downtown so trying to get to local shopping spots was really easy and it was close to two BTS lines. I was not expecting loud music at the swimming pool. I prefer a quite environment. Bed and pillows are very good quality. I'm a returning guest, usually for short stays and the hotel always meets my expectations. Hope to stay for longer once.